In order to register with our practice, please use the boundary map or check with our reception staff to ensure you live within the practice catchment area. If this is the case, you will need to bring your NHS medical card, or if you have misplaced your card, you can simply complete a registration and new patient health check form. You can download copies using the links below. All registrations need to be acompanied by a completed new patient health check questionnaire and, if needed, you will be invited to attend a new patient health check. You may print off a Registration Form, New Patient Heath Check Form, Patient Contact Details/Online Services Form and a Summary Care Record consent Form, fill them out and bring it in with you on your first visit to the practice. 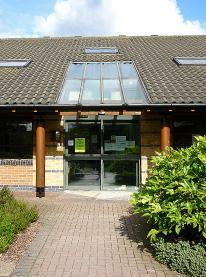 Heath Lane Surgery utilises the GP2GP facility for the transfer of all patient records between practices, when a patient registers or de-registers (not for temporary patients). This means we request medical records electronically from your old practice or send electronically to your new practice.